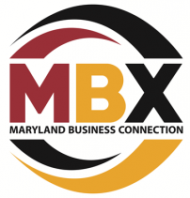 Start your day off right by making valuable connections while promoting your business to members of local chambers and business organizations!The event features open networking, a full breakfast buffet and 4 rotations of table presentations. Each attendee will be able to promote their business at their table and may pass out cards, brochures, etc. during their 90-second introduction. Then, everyone will get up and move to a different table to do it again… and again… and again. Door prizes will be raffled off throughout the event. Attendees can also place marketing materials on the main literature table in the banquet hall as well. Make sure to bring plenty of business cards and other information because we expect to have 75-100 local business professionals at this event and you will meet 30-40 of them during your table rotations.